How Do Channel Packages Work? Channel packages allow you to place a variety of content into a single player. You can then remove, update, or add to this inserted content at any time. This feature offers broadcasters a tool to constantly update and add value for their viewers. After you create a channel package, viewers can access the content within the player from the CONTENT SELECTOR (shown in the image below). Alternatively, they can access it from the filmstrip icon next to the VOLUME settings in the PLAYER CONTROL bar. Please follow this step-by-step guide to create a new package (with VOD and/or Live channels). 1. Log in to your DaCast account at my.dacast.com. 2. 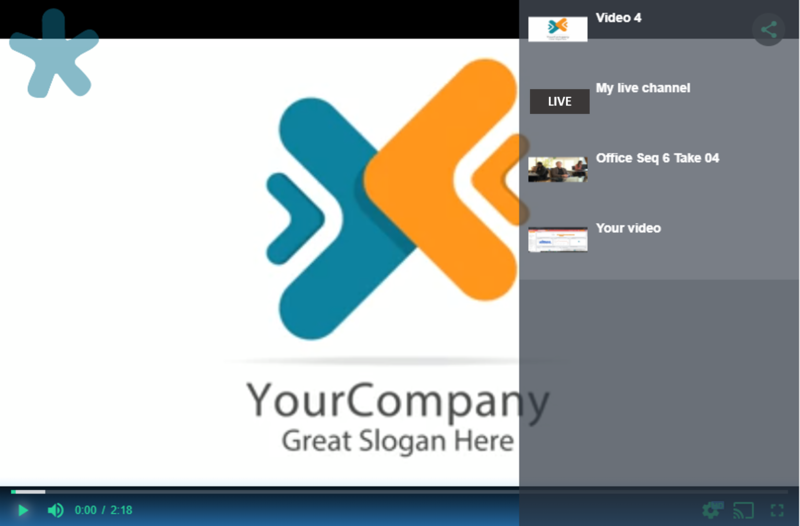 Click on the PACKAGES icon on the left side of the New Back Office. 3. From here, click on the blue cross or the CREATE orange button. 5. Once you create your package, it will appear in your packages list (as shown below). 6. When you click on your package, you now have access to Description, Publish Settings, Setup, Monetization and Analytics. Please note that the first four sections work exactly the same for both Live Channels and VOD. 7. To add VOD, click on the VOD button and drag-and-drop the videos you want into the right column. Please note that you can do the same with Live Channels. Please note also that you can either drag and drop the video, or click on the blue cross on the right of your video title. You have the ability to choose the order of the videos inside your package. To do this, simply click on the video and moving it to another rank. 8. Please make sure to click SAVE once you’re happy with your new package. How do I create an HTML5 live channel? This help page does not describe what steps you need to take with the individual VOD or Live Stream that is part of the package. Do each of those items need to have their paywall turned on? And a price set? If I only want them to be able to buy the package, and NOT individual items, what is the proper sequence of steps? Thank you. Basically, this is the same process for a package: you will create the package, get into the monetization tab, and set up a price. This will set up the paywall for the package only and not for the individual video. Please tell me if you succeed doing that!